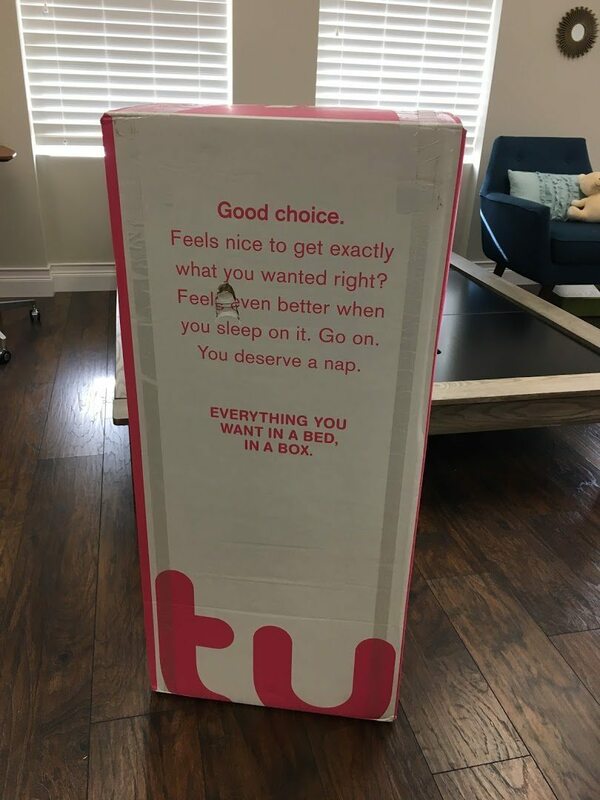 The tulo Mattress is a bed in a box offering from Mattress Firm. 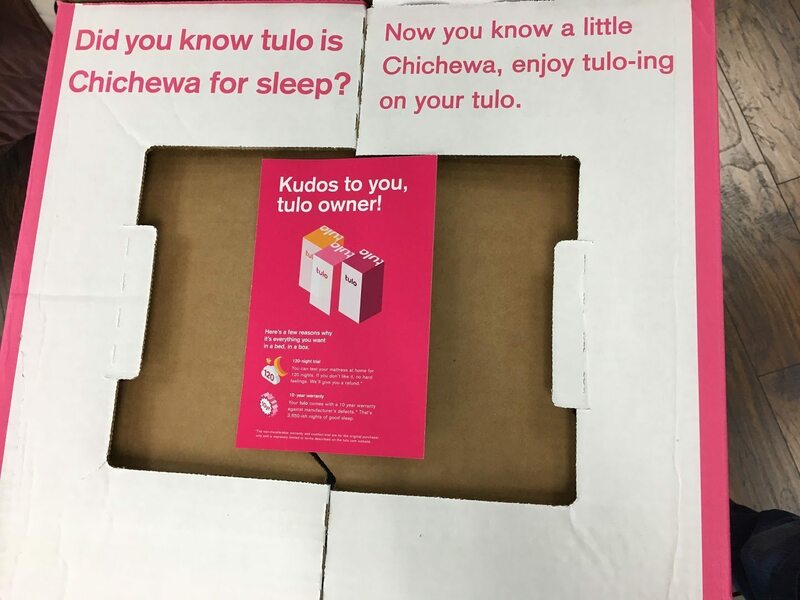 Tulo means “sleep” in the Chichewa language, a widely known language in the country of Malawi. It’s a catchy name that is easy to remember. The tulo comes in 3 different firmness options soft, medium and firm. For this review, I received a medium version. What really sets Tulo apart from the competition isn’t necessarily the construction of the mattress but the fact that you can try out the tulo at one of thousands of Mattress Firm stores across the country. A queen size Tulo retails for $650. It comes compressed and roll packed in a box like the one below. As you can see, this box was a little damaged but the mattress wasn’t. When you open the box you get a nice greeting from tulo and a letter opener. Over the years I have developed a nice collection of these. Here’s a picture of the mattress right out of the box. Once you cut the plastic it will start taking in air quickly. One thing I noticed is that this mattress sprung into shape very quickly. I think that’s because it was manufactured recently. Mattresses that stay compressed in a box longer, take longer to recover but that wasn’t the case with the tulo. Cover: knitted Polyester and Tencel blended fabric mated to a reinforced Polyester Elastan blended material for maximum durability. Top Layer: 2” blend of titanium particles and high density Cool Flow ventilated memory foam. Material density is 3.25 lb/cubicfoot. 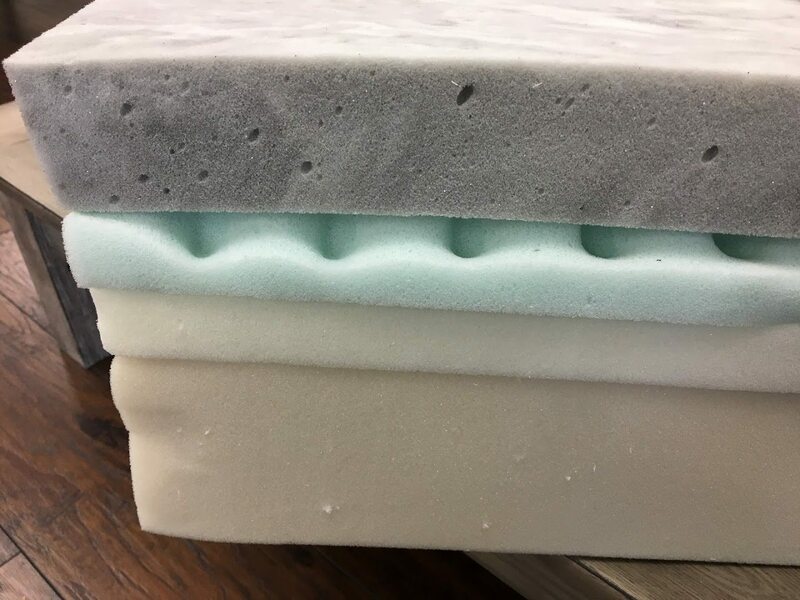 3rd layer: 1.5” of strut reinforcing technology engineered into high resiliency firm foam to minimize material fatigue and reduce surface compression. Material density is 2.5 lb/cubic foot. Foundation layer: high density poly urethane material designed to complement the technologies positioned above this layer. Material density is 1.8 lb/cubic foot. This mattress skews a little towards the firmer end of the spectrum. I reviewed the medium firm and found it to be a little firm at first. However when you lay across it, you get great support and still get good pressure relief. This mattress is made in the USA and from what I can tell is top of the line foam. None of the corners are smushed together which means they didn’t over glue the pieces. It also was made recently and didn’t stay in a box for too long which also helps it take shape faster. Here’s a picture of my bowling ball on the mattress to show you how much it sinks. Here’s another video that illustrates motion transfer on the mattress. Here’s a peek inside the mattress to show you how each layer reacts. If you are new to the world of online mattresses, this is a great introduction. You can just head to your nearest Mattress Firm and try one out to see for yourself the value you can get with online brands. A queen size Tulo currently retails for $700 but now you can get one for $499. I didn’t compare the to any other bed in the box mattresses before purchasing, but I will say that the “Soft” version compared very favorably to the far more expensive memory foam and hybrid mattresses in medium and plush that I compared the Tulo to. The more expensive options may have been better but I don’t know how a person is to definitively find that out for sure without sleeping on one for an expended period of time. In my experience I’d confirm the comments above- the “Medium” is definitely on the firm side of medium so if you spend any of your time on your side it’s going to be less suitable than the “Soft” Tulo, which both my wife and I both being partially side sleepers are very happy with. Almost no motion transfer, and very little heat retention. If you’re unable to go to a Mattress Firm to sample the options, I’d recommend that you start with the “Soft”. Very Highly Recommended. I lo e the mattress. I have been sleeping on it for over 3 months now. I get very good sleep every night. It was easy to get home and easy to set up. I highly recommend buying the tulo soft. My experience with this mattress was disappointing. 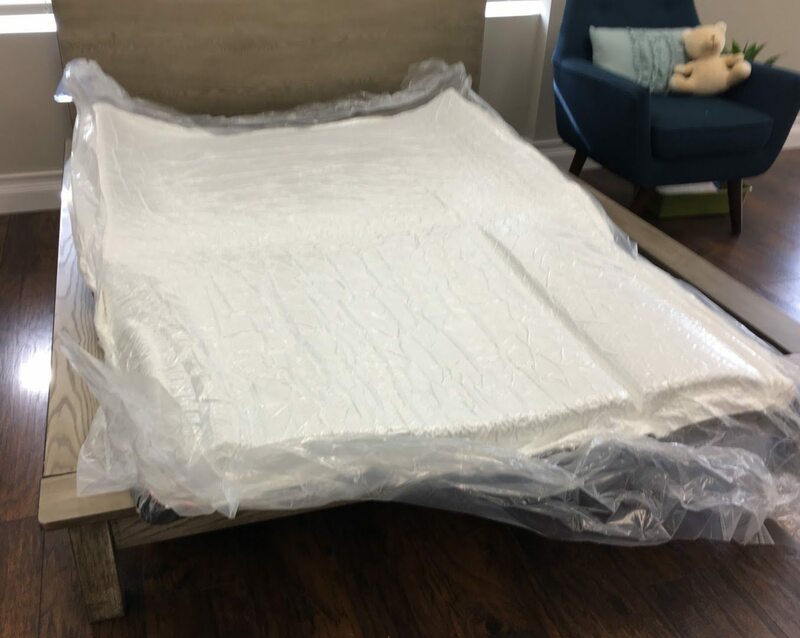 We tried the hard, medium and soft at mattress firm and found the medium to be what we wanted with one being too hard the other being too soft. Once we got the mattress however I had a very hard time sleeping on it because it was very stiff. I couldn’t believe this was a medium so after two weeks we went back to mattress firm and tried out the medium. It was much softer than what we received. The lady said it would “wear in” but we are basically at the 1 month wear-in exchange period and it isn’t soft at all. Now it might get better down the road, or it might not. This uncertainty after paying a chunk of money for a whole set is not very satisfying. Makes me wonder if there’s a change the mattress is firm and was co,or coded wrong. But how would one know? I’m curious if you’ve kept the (medium) Tulo? How the Medium felt to you at the store makes me wonder if that unit had been on display since its release (I’d guess so). I’ve read quite a few YT reviews by people who had the same experience. For anyone in your situation, seems to be a good sign. Also, it would be very helpful to know your sizes and in which positions you both sleep! Do you have a tulo in you showroom at this time? We don’t but they should be available to try at Mattress Firm stores. This mattress changed my LIFE! If you like the idea of falling asleep on a giant yet supportive marshmallow pillow this is the bed for you. 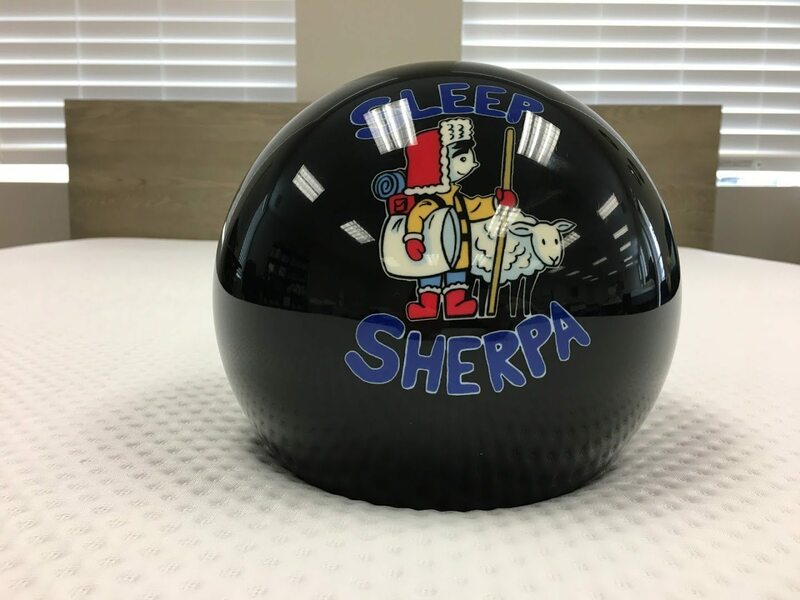 My fiance and I used to sleep on a Serta Pillow top queen, and it dented in the middle so severely after a year that we became entangled uncomfortably night after night. It cost over 3k. So disappointing. We bought the tulo medium king a year ago and I can honestly say, it has been the best purchase we have ever made. We both fall asleep and wake up in the same positions. My fiance had had back problems his whole life and hasn’t had to go to physical therapy once since we bought it. On my days off, I find it hard to rouse myself from the premium comfort it provides. Do yourself a huge favor and BUY THIS BED. Have been sleeping on this mattress for a few weeks now. I received the Medium and I can definitely say it is on the firmer side. Especially if you have already sunk in and been on the mattress for a while; it does feel a bit firm on your skin. However many individuals may prefer this feeling. The bed does not have any bounce at all and I kind of miss that; although I still like to avoid dealing with motion transfer. I bought this unseen after reading a ton of reviews. Medium was recommended by Tulo’s mattress quiz as well. Almost a month after, I am second guessing my choice. If I were to do this again, I will promptly get the Softer version of the mattress or get a hybrid mattress with coils. The only problem is, they are known for bottoming out and/or sagging after a few years. Too bad these mattress warranties have unfavorable requirements for you to even qualify for a repair or replacement.